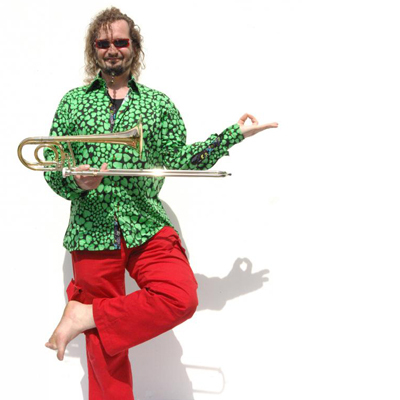 Born in Celle in Germany in 1967, composer, arranger and trombone player, Daniel Casimir has been professionally engaged in music since the age of seventeen. After studying composition improvisation and trombone at the New School in New York and after a lengthy stay in Rio de Janeiro, he came to Paris in '92 where he now lives. Widely known for his activities as a trombone player in jazz and improvised music, he composes regularly for soloists, ensembles and festivals of either jazz, classical or contemporary music. He is artistic advisor for the DRAC (cultural department) Ile de France, working with the comission for musical creation and inventivity. He is also a member of the musical team "Yolk".